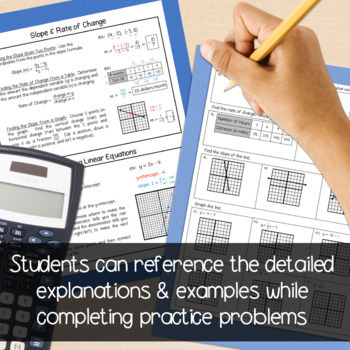 Looking for a good way to review core pre-algebra concepts with your students? 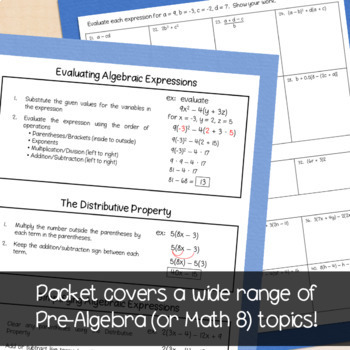 This math review packet covers some of the major topics taught in pre-algebra or 8th grade math. 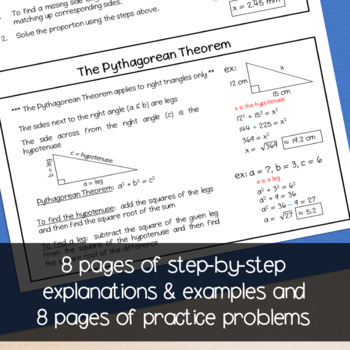 The packet contains 100 questions for the students to solve, as well as worked-out examples and descriptions of how to solve the various types of problems. An answer key is also included. 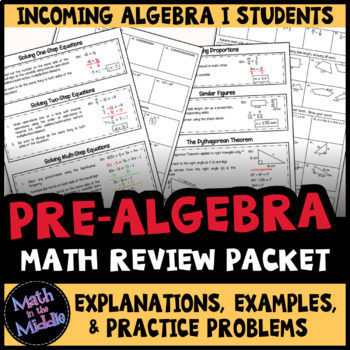 This math packet would make an excellent summer math packet for pre-algebra students, but it would also be a great August/September back to school review for Algebra I students, as well. It also would be great to leave for emergency sub plans in Algebra or Pre-Algebra classes, or to use as a study guide for a Pre-Algebra final exam or end of course test! Please download the preview file to see all that is included!